Hope you are having a great start to the week, here in the Spain the weather has been horrendous, storms and rain the last two nights, flooding the street and cutting out the electric but the sound of it this morning at 4am was fantastic, and it was like a disco in my bedroom with the lightning 🙂 however I believe the sun is on its way…. Anyway I just wanted to update you on what will be happening food wise in the run up to Christmas, I am preparing recipe ideas now. This includes my Christmas Cake recipe which I need to get started on soon so I can feed the cake with brandy ;-), maybe we can cook this cake together and see the progress! It should end up being the most moist and tasty Christmas cake. I actually never liked Christmas cake until I made this one, and I like to eat it savoury with cheese rather than sweet. The other thing I am hoping to share with you is how to debone a Turkey. My Aunt has been cooking her Christmas Turkey like this for years and believe me it is the tastiest Turkey ever! This is because you are keeping all of the good meat from the bones and you can slice right through. The bird is stuffed and stitched back up! I did this for the first time a few years ago with a diagram drawn by my Aunt, my sister and brother-in-law watched as I hacked at this bird, they had no confidence and I could hear them discussing where they could get a new Turkey from last-minute!! They had little faith, the Turkey turned out amazing, juicy, tender and delicious. I really recommend you give it a go. Hopefully I can get this recipe on here soon. 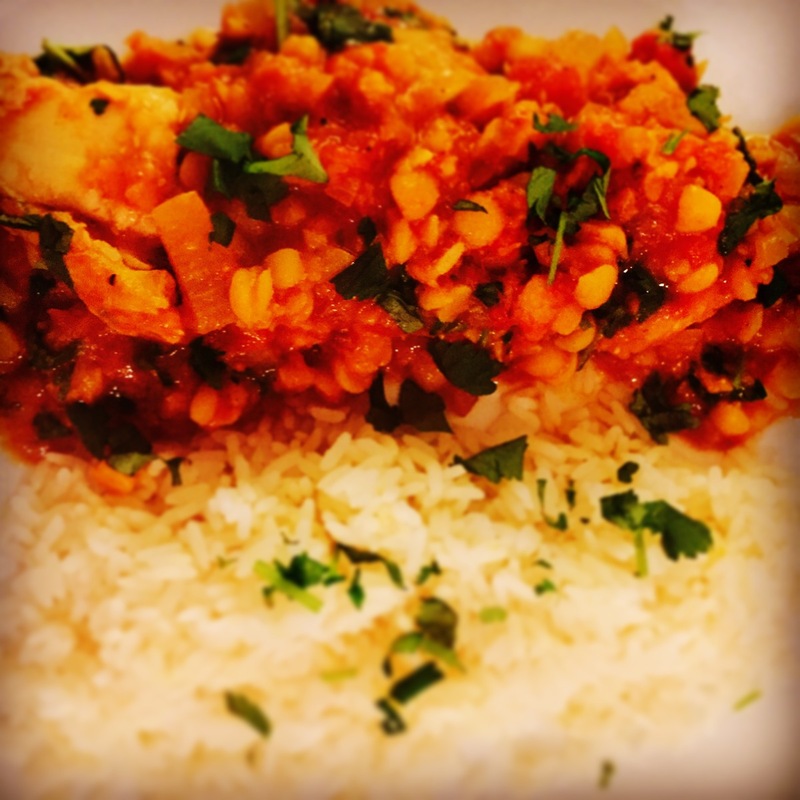 This is a recipe using lentils and lemon to make a zingy curry. Darryn finished his curry off in the oven and it works really well. Alternatively send me your own recipes and photos to add to my YOU page, it’s a great way to share your recipes and ideas with others. Recently I can see Auntie Carols Fish Stew has been popular, perhaps as it’s a warming dinner now the weather is chilly….